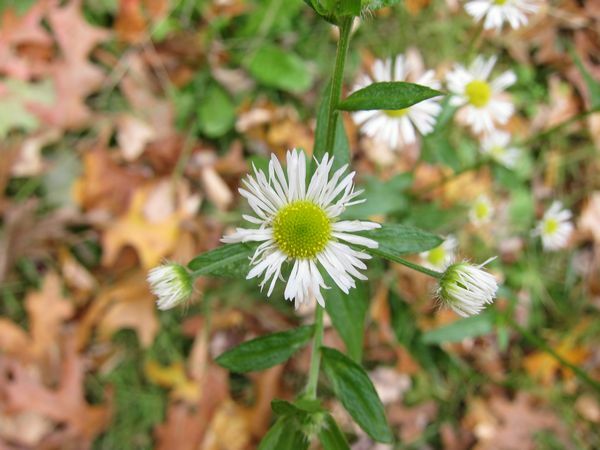 Daisy Fleabane is a gorgeous white flower with a yellow or green center. 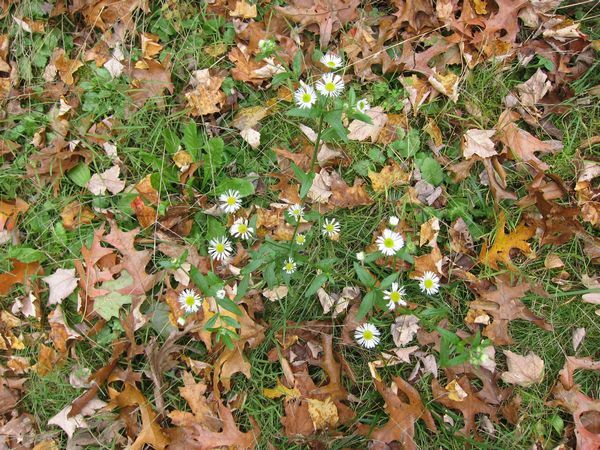 There are lots of white petals spreading out in a circle around that center point. 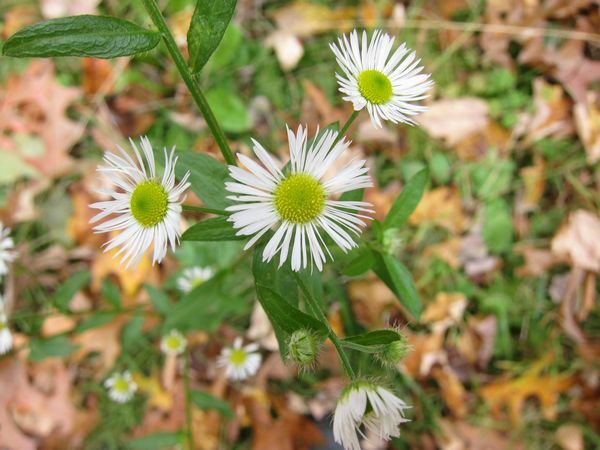 The daisies come off from a tall spike, often up to three feet tall, with multiple flowers on a single stalk. 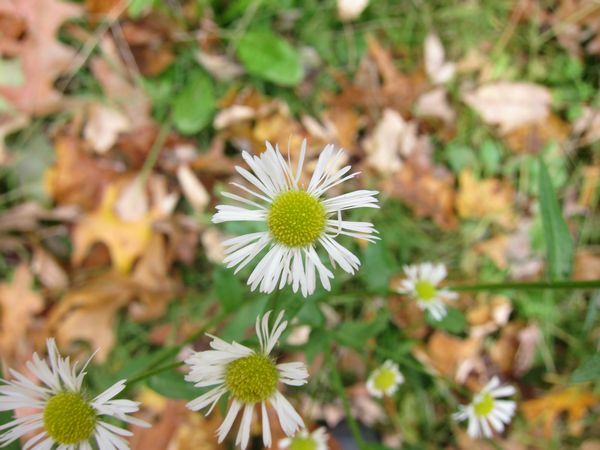 I love daisies, and their circular appearance. In Sutton they start blooming in mid-June and bloom right through October. They are wildflowers. 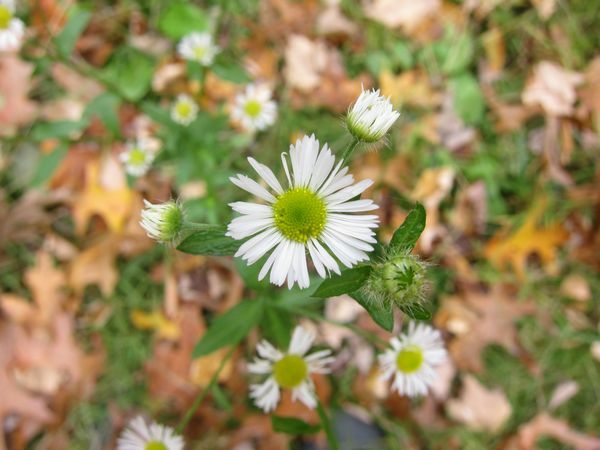 These daisy fleabane flowers are blooming in October.